I guess most bloggers would consider the Nordstrom Anniversary Sale Christmas in July, but there are some other really good deals going on right now. Target always has a major toy sale this time of year. It's not really the best or most in demand toys, but definitely great deals for squirreling away some extra toys to stick in stockings or to give as gifts to nieces, nephews, friends, or any birthday parties you might have in the future. The girls were so good on our drive down and back from SC and while tagging along on my appointments to the doctor and getting new tires that I told them they could pick out a toy. Of course they picked Doc McStuffin's Pet Vet (50%off), which is seriously the toy they beeline for when we kill some time browsing the aisles. I guess because it has a few buttons you can push through the packaging, but they seriously are always playing with it. Most of the toys are 30% off, but I did fine some My Little Pony figurines for 50%. I also grabbed the girls the Doc McStuffin's doctor kit because most of the pieces from their's have fallen apart over the last 4 years, and at less $10 it would be the perfect gift to go with the Big Book of Boo Boos. Kohl's is having a Christmas in July Sale for cardmembers with code SUNTAN30 and free shipping JULY4FREE on all orders. Non-cardmembers can get 15% off their entire purchase with BIGSAVER and all Melissa & Doug toys are 20% off with PLAYTIME20. 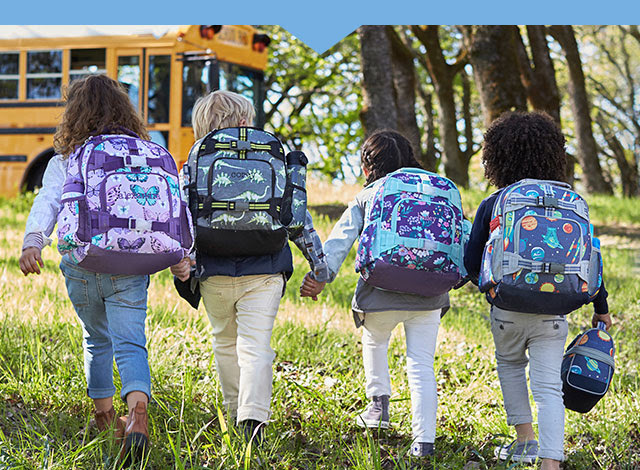 And for those of you with the back to school countdown going, Pottery Barn Kids is having 20-60% backpacks and lunch boxes. I swear every year their prints get better and better and I'm always itching to get the girls new ones. Their stuff is still in really good shape, so I'll probably wait until A is in kindergarten to pick a new one, but definitely crushing on so many styles! Am I alone or does anyone else play Santa in summer? Happy Shopping!